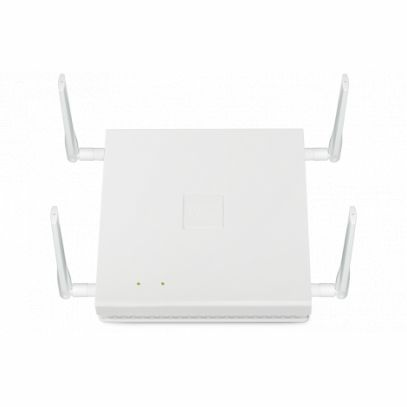 The LANCOM LN-862 is a high-performance 11ac Wi-Fi Wave 2 enterprise access point. Based on the Wi-Fi standard IEEE 802.11ac Wave 2, this device significantly increases the efficiency of any wireless network. Featuring Multi-User MIMO, it allows all of the available streams to be used by several clients at the same time. The clients also benefit from beamforming for a better signal. The LANCOM LN-862 provides fast Wi-Fi to 11n-clients in the 2.4-GHz frequency band as well as the growing number of 11ac-enabled devices in the 5-GHz band. On top of that, the access point can be versatilely operated: it can be orchestrated via the LANCOM Management Cloud, centrally managed by a WLAN controller or operated as a stand-alone device.